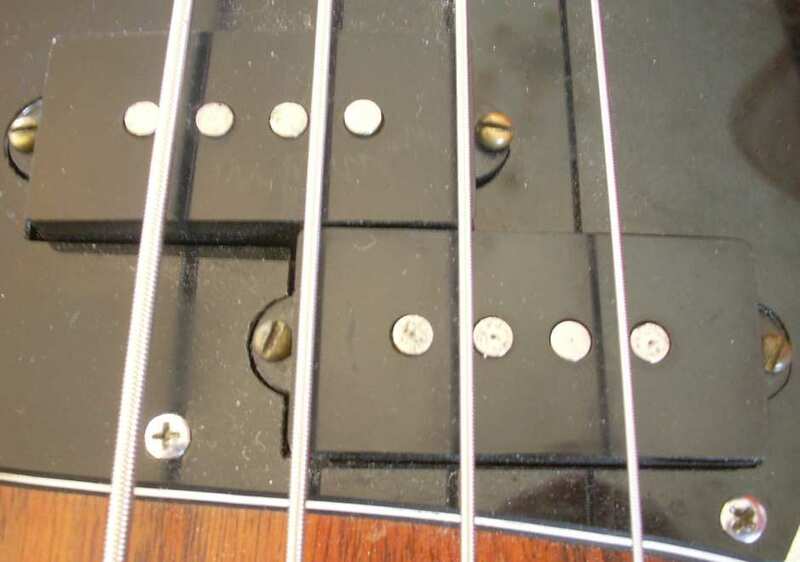 Well, depends where the pickup is, the reason two 4 pole pickups are used on a bass, is the large travel of the string oscillates between the two poles, and is hopefully picked up evenly. I've never been that sure it's a smart theory, but if you have the 4 poles in line with the string, the signal may get weaker if the string is travelling outside the field of the pickup. A bar (like those clip on acoustic ones) or rail type pickup would not have this problem, as it does not have pole pieces. If by test jig, you mean solder a jack on to the end of the pickup wire, and use one of those removable 3M stickies, I concur. Did you ever try this out? Wondering if i should go piezo or mag. I'd prefer piezo and have a pedal that can overdrive so that's not an issue. Well, I went 3 piezos with no pots. They are working well through my amp and a Zoom B3 pedal. However I get a little static unless I hold the cord plug to ground it or set my barefoot on my pedal which also grounds. Is there a way to ground it without having to touch something?